The Painting Pro appreciates it when customers share their thoughts on Painting Pro’s business. We enjoy sharing these opinions and post or link testimonials and reviews Painting Pro receives through e-mail, texts, postings on Painting Pro’s social media sites, telephone calls and good old fashion mail. Who doesn’t enjoy the occasional hand written note! We invite you to peruse the reviews and keep them coming! In accordance with our legal department and FTC guidelines; please note some of the testimonials and reviews come from sources who may have an ongoing business relationship with the Painting Pro. Whether paid or unpaid, all testimonials reflect the individual’s real life experience with Painting Pro services. However, testimonials and reviews are individual results which may vary. We are not claiming the testimonials and reviews are typical or are necessarily illustrative of all individual experiences when using Painting Pro’s services. The testimonials and reviews displayed are verbatim, apart from minor changes to correct grammatical or typing errors. They may have been shortened if the testimonial provided was too lengthy or contained content not necessarily relevant or helpful. We feel the testimonials and reviews expressed are the unbiased and honest opinions, findings and experiences of individuals who enjoy using our services and are strictly individual views. Painting Pro does review testimonials and reviews to prevent: abuse, profanity and other publicly inappropriate content. Painting Pro does not necessarily share the opinions of all the testimonials and reviews we receive. That said, in every case, we believe the quality and performance of Painting Pro services speaks for themselves, and we encourage you to try them out! Not only do we offer traditional house painting services but we also offer a line of environmental friendly painting services. Our painters can paint your house or commercial property and be “green” at the same time. From our eco friendly paints to the thorough cleanup process your property will not only look great but also be safe within the environment. 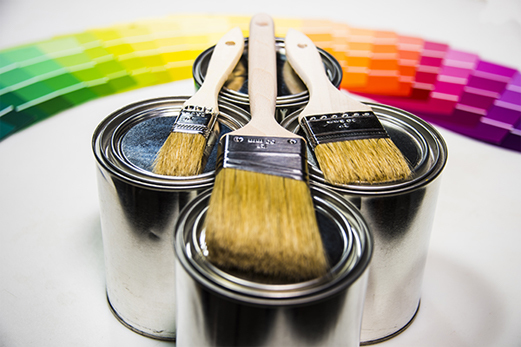 Boise’s Trusted Painting Professionals for Over 30 Years!